The fans of the Italian team showed their support more than ever this season in Euroleague! Olimpia Milano finished its EuroLeague campaign with an average attendance of 9.485 per game, setting a new record of attendance for the club. Two seasons ago, Olimpia had an average attendance of 8.469 per game, about 1.000 less than during the just finished season. Last year, over five EuroLeague games, the attendance was of 8.380 per game. 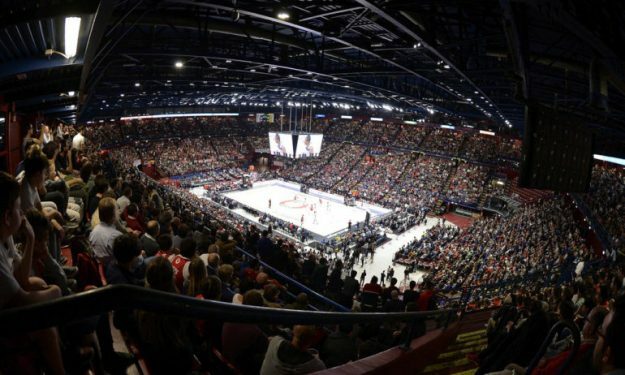 The Olimpia arena sold out twice, against Real Madrid and CSKA Moscow. Very close to a sold out was also the Fenerbahce game, with an attendance of 12.046. More than 10.000 people attended the Red Srar and Efes Istanbul games. The total average was reduced a bit only due to a 6.416 people attendance against Baskonia.